The online casino Kahuna offers a particularly attractive online setting; one that resembles a tropical island, and features all the Hawaiian themes that one can possibly cram into a website. The ever present Tiki creature serves as a guide and guardian of the casino, ensuring that all guests of the Kahuna playground would be kept up to date and aware of its surroundings. There are multiple promotions to look forward to, and you won’t find better deals than those which are currently being provided in here. 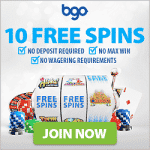 Welcome promotions, free spins, and VIP offers – are but some of the available bonuses, with many more that would be progressively added to keep the players entertained for many long hours to come. The site is available in English, Finnish, and Norwegian, and provides several banking options that can be used as a means for funding the account, or withdrawing future winnings from it. This Kahuna casino is quite a pleasant surprise, and it sure does a great job in making an impression from the start. With multiple game categories like jackpots, video poker, live casino, table games, slots and pokies – there will be more chances to win than one can possibly expect from an online setup such as this. Microgaming, BetSoft, and NetEnt are only some of the available providers, with much more software that can be located through the casino’s main site. New slots like Journey to the West, Revolution, Shaolin, Cheeky Monkeys, Fortune Cat, The Grand, Chilli Pop, Goldy Pig, Dessert, Book of Dragons, and many more – are constantly in the roster, with plenty more additions that could certainly use a spin or two (18+). Waves of free spins are going to await any weekend warriors who are eager to explore the islands of treasures, where Aloha and Mahalo are used as a form of greeting or to express gratitude.